Presidential candidate of the Peoples Democratic Party (PDP), Atiku Abubakar, has applied for a visa to enable him to visit the United States of America. It was learnt that the former Vice-President appeared for an interview at the US Embassy on Tuesday in Abuja to get his visa. The Punch learnt that Atiku would use the trip to make what was described as “political statement” ahead of the 2019 presidential election. According to a source, those planning the trip with the former VP are out to use it to address some US congress caucuses, as well as a high ranking official in the Donald Trump administration. However, the source could not confirm if Atiku would also use the opportunity to address the entire congress if he makes the visit. 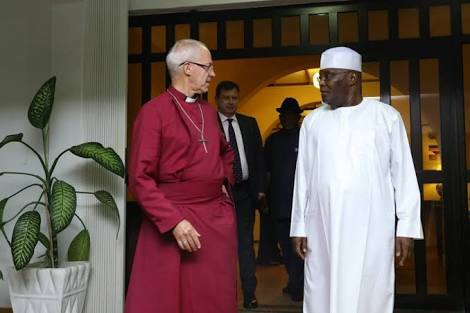 The source said, “I can authoritatively tell you that Atiku Abubakar went to the US Embassy on Tuesday for an interview and there is hope that he will get it (visa). Meanwhile, the PDP has alleged that the All Progressives Congress “is already jittery because of the calamity that will soon befall them”. 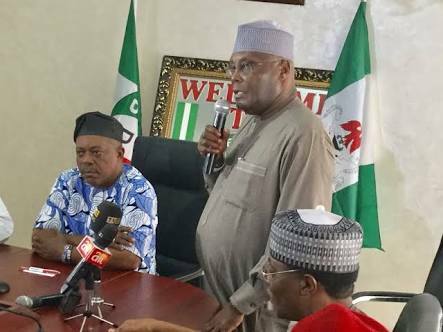 National Chairman of the party, Prince Uche Secondus, who spoke with The Punch on Atiku’s application for a US visa, asked the APC and FG to be ready to accept defeat in the February presidential election. He said, “What is their own in the visa that they are calling on the authorities of another country not to grant a private citizen?